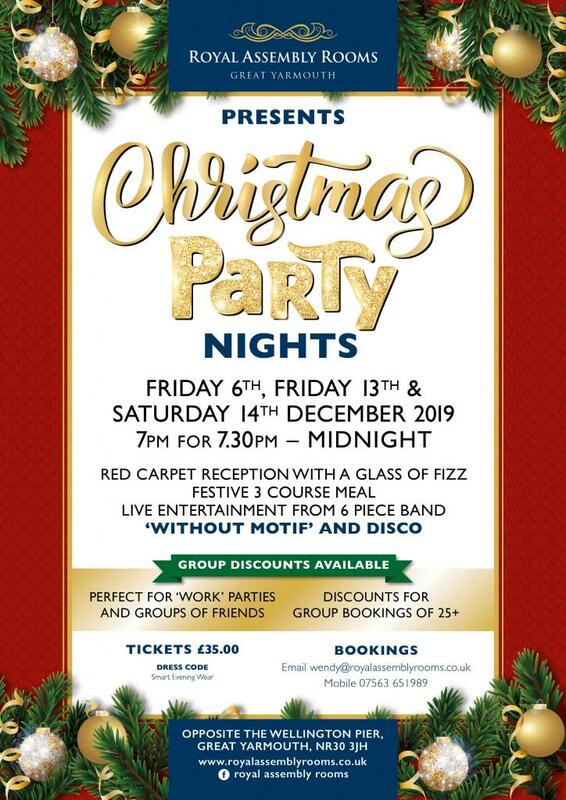 Get into the Festive spirit with our 2019 Christmas Party Nights.. Begin the evening with a complimentary glass of fizz before tucking into a delicious three course meal with all the Christmas trimmings. Our fabulous band, Without Motif, will then keep you entertained for the evening with all your favourite dance floor classics with a generous sprinkling of iconic Christmas songs.